Marketers who tap into the influence that health professionals have with a brand’s target audience are bound to see results. Because health professionals are some of the most effective influencers around. But why, specifically, should healthy brands market to consumers through this group? Keep reading. You may be surprised by how obvious the answer is. 1. Their interactions with consumers are predictable. Health professionals talk to consumers every day about a range of health topics: digestive health, early pregnancy, sports injuries, first foods for baby, weight loss, and so on. We know when these conversations are going to happen because consumers make appointments. For example, if your target consumer is moms of babies under a year old, then you absolutely want to be part of the conversation during a 6- or 9-month well visit to the pediatrician. 2. Their conversations with consumers are repeatable. 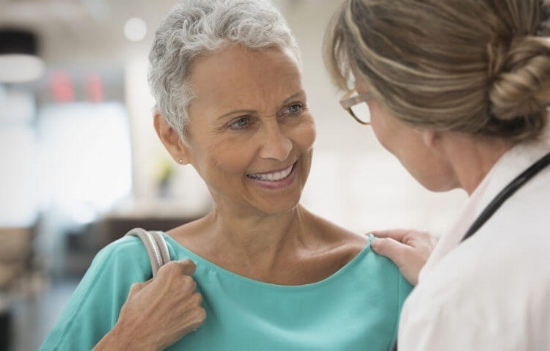 Once you have identified the conversation to be part of, you can be sure that health professionals are having that same conversation over and over again—and with unique patients and clients. The “multiplier effect” is one of the reasons why marketing through health professionals is so powerful. Build a relationship of trust and credibility with a health professional having the conversation you want to be part of and then allow them to have that conversation with hundreds, and eventually thousands, of consumers. The trick is to keep your brand top of mind so that a health professional thinks of it—and not another brand—when recommending solutions to patients and clients. Just as their conversations with consumers are repeated, so should your conversations with them. Provide the right kind of education with frequency, and you will earn those repeat conversations and recommendations. 3. Their relationships with consumers are personal. Consumers choose their health professionals, and each conversation they have is tailored to their specific need. Not only that, but the health professional your target chooses to talk to may be the only person who knows about that specific need. This relationship, between patient and professional, is very personal. In this vulnerable setting, the consumer has a heightened health awareness and is predisposed to receiving the message. Your healthy brand could be a part of that message. 4. Their conversations about specific health needs are ownable. There’s a good chance that other brands aren’t making the kind of effort needed—providing the type of educational information necessary, reaching out often enough, providing samples and coupons, etc.—to make it into these predictable, repeatable, and personal conversations between health professionals and their clients. There’s no clutter. No competition. It’s a one-brand show waiting to happen. Healthy brands who engage with marketing professionals consistently and with the right materials can own these conversations.